If our school hasn’t paid our affiliation fee, is there any way we can order NJHS materials for our upcoming academic or induction ceremony? How do I establish an NJHS chapter at my school? Visit our Start a Chapter page for full instructions on how to establish an NJHS chapter at your school. If my principal has an NASSP membership, is my school automatically affiliated with NJHS? No. NASSP membership and NJHS chapter membership are entirely separate. What is NASSP’s relationship to NJHS chapters? The National Association of Secondary School Principals has been the proud sponsor of the National Junior Honor Society since its creation in 1929. Many school principals have personal memberships with NASSP, but a school’s NHS and NJHS chapter affiliation and an administrator’s NASSP principal membership are in no way connected. Do all NJHS chapters have to be affiliated with the national office? Yes. Per the NJHS Constitution, annual affiliation with the national office is required for your established school chapter to continue to recognize students through inductions into the Honor Society. 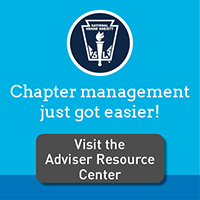 How do I notify NJHS that the primary adviser of an NJHS chapter at my school has changed? Complete the online Adviser Change Form.